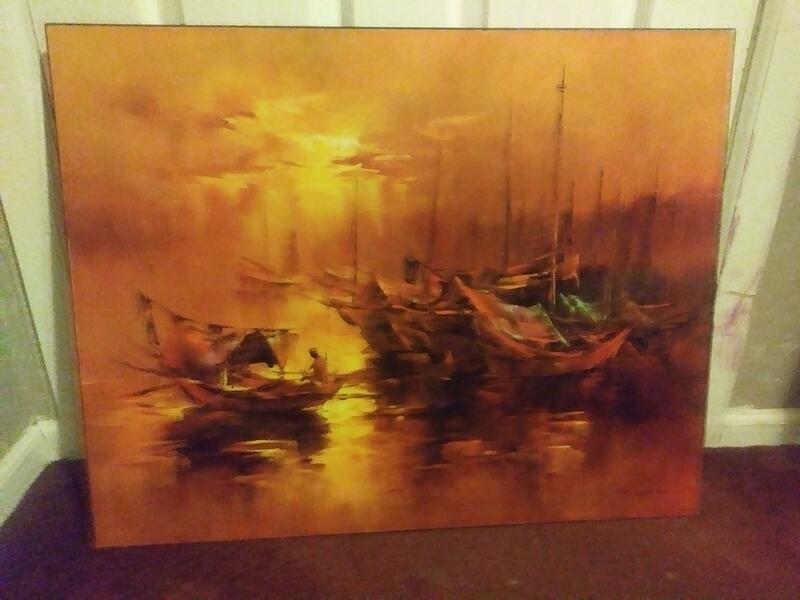 Is this piece acrylic (plastic) or oil paint ? Is it on board, cardboard or canvas ? Do you have any close ups of the artists signature and back of the piece ? After an initial look it seems to me as a Korean piece. Most likely 1970- 1980 If you or Kingkim could add some more details / pictures ... I am happy to research this piece further.